I relived my regular routine of parking near Washington Pier and walking down to the boardwalk to take in the sights and sounds as if it was my first time ever. I spoke with the friendly cast of characters that hang in the area, watched kids and adults skate at the new skate park and looked at the ocean as if it were our last rendezvous together. There weren’t a lot of people on the beach because the temperature has been considered cold (low 70s). Already experiencing high 90s in Austin, the ocean breeze felt like an IV straight to the soul. Sitting next to the sea forces you to be present and for the first time in awhile, my head and body felt clear and free. God, that sounded new-agey, but it’s true. As much as I absolutely love living in Austin, I dislike being land-locked immensely. The highlight of my day was meeting one of my favorite writers and bloggers Laurenne Sala from Humans Are Funny. Like a dumbass, I forgot to take a picture of her. If you’re not familiar with Laurenne’s work, start here. Here she writes with equal parts heartbreak and humor about her father coming out of the closet and subsquently committing suicide. She’s a fantastic writer and a fantastic girl. She just completed her first novel and I have no doubt it will be wonderful! 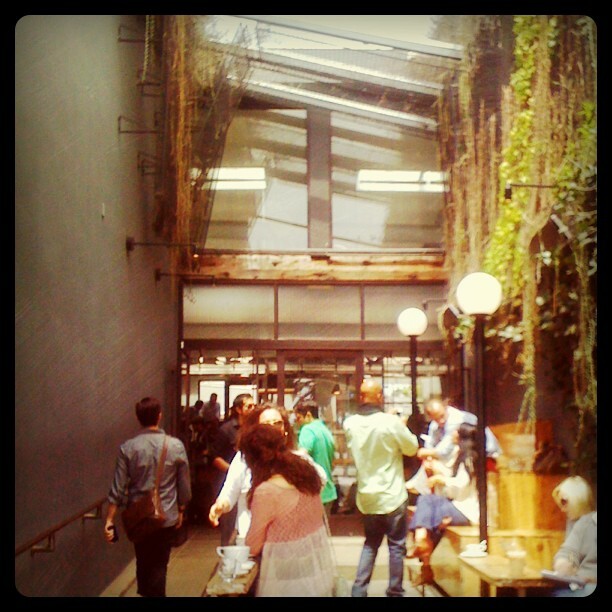 Intelligentsia Cafe on Abbot Kinney. Felt like I walked into a Dwell Magazine layout. Seats are made out of concrete, there are no plugs and iced tea is $5. I don’t miss LA. Today I will be catching up with old friends in Hollywood and tomorrow is Californication! 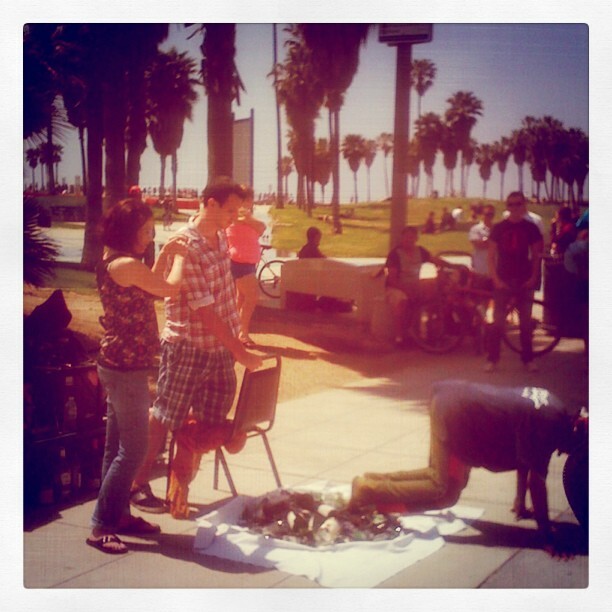 yeah, venice is like that. it is its own community. I’m incredibly jealous. I’m a huge fan of the Hankster and have seen those iconic views many times. Great article. Just got back from set! It was so much fun. Really good group of folks. I am jealous but your descriptions make me feel good! we’ll do a visit to so cal again soon, momma! You and Laurenne met!!! So exciting! 🙂 Enjoy the ocean breezes, it’s been gorgeous here all week. I know! I was so so stoked to meet her! She’s awesome. The weather has been perfect here. Love it! Wonderful post! 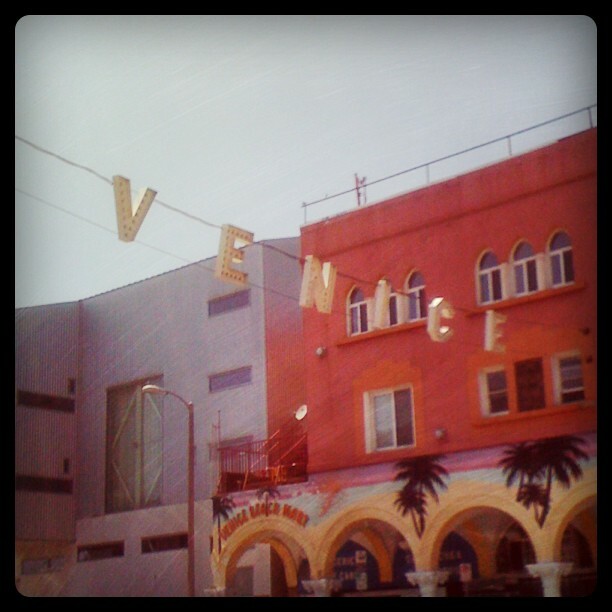 Loved looking at the pictures, as Venice is one place I’ve always wanted to visit. 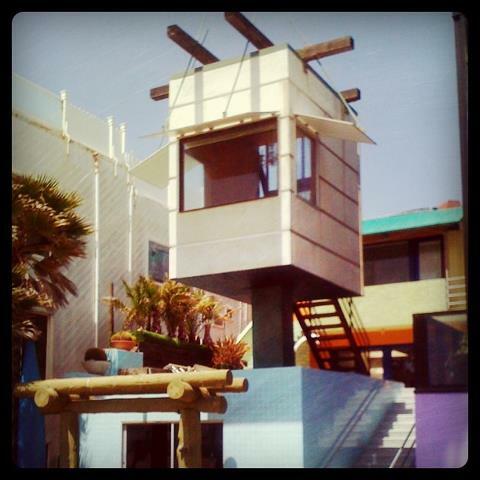 Great shot of the Venice Beach house by Gehry. Thanks! You should go! It’s such a wonderfully weird and beautiful place! Yayyyyyyyyyyy!!!! I’m so happy we finally met! Woohooo! May it happen again and again. Hey, Me and a few of my friends are coming over from the UK in the next couple of weeks. We are looking for some good bars/clubs to visit. Any ideas for us? We are looking for indie/alternative options. We have found places such as the Cha Cha lounge but this is over in Silverlake. We are stopping just off Venice beach so any ideas around there or near Marina Del Rey/Santa Monica would be great.